Pick Analysis: Finished his career with a yards-per-reception average of 20.9. In 2014, named second-team All-SEC and was a Senior Bowl invitee. Dominated in loss to Alabama with 5 receptions for 206 yards and 2 touchdowns. In 2013, started 12-of-14 games he played in and averaged 54.1 yards per touchdown reception. Played in 11 games in 2012. Redshirted in 2011 after suffering foot injury that required surgery before season started. Led Leroy High School (Ala.) to Class 2A State Championship, earning MVP honors with 5 catches for 60 yards and 2 touchdowns. Published: May 1, 2015 at 10:57 p.m. The Pittsburgh Steelers pick Auburn wide receiver Sammie Coates No. 87 in the 2015 NFL Draft. Published: April 11, 2015 at 03:02 p.m.
Take a look at the college highlights of Auburn wide receiver Sammie Coates. Published: March 12, 2015 at 06:24 p.m.
Watch Auburn wide receiver Sammie Coates work out at the 2015 NFL Scouting Combine. 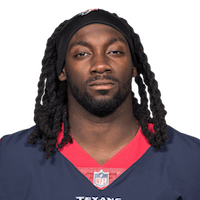 Published: March 3, 2015 at 05:10 p.m.
Auburn wide receiver Sammie Coates talks with NFL Media's Mike Mayock about his experience at the NFL Scouting Combine and looking ahead to the draft. Published: Feb. 7, 2017 at 09:10 p.m.
Auburn wide receiver Sammie Coates runs the 40-yard dash at the 2015 NFL Scouting Combine. Published: Jan. 21, 2015 at 03:54 p.m.
Mike Mayock evaluates the hands of wide receiver Sammie Coates from the University of Auburn at the 2015 Reese's Senior Bowl. Published: Feb. 21, 2015 at 11:14 a.m.
NFL Media's Daniel Jeremiah breaks down Auburn wide receiver Sammie Coates at the 2015 NFL Scouting Combine.